Flanders may be relatively flat and lack the undulating hills of central and southern Europe, but it packs a pretty big punch when it comes to offering cities of utter beauty. Antwerp, Ghent and Bruges, anyone? Not only are they architectural tours de force and a legacy of this region's glorious trading past, but the wealth it created left a simply superb legacy of Flemish art in all its form. 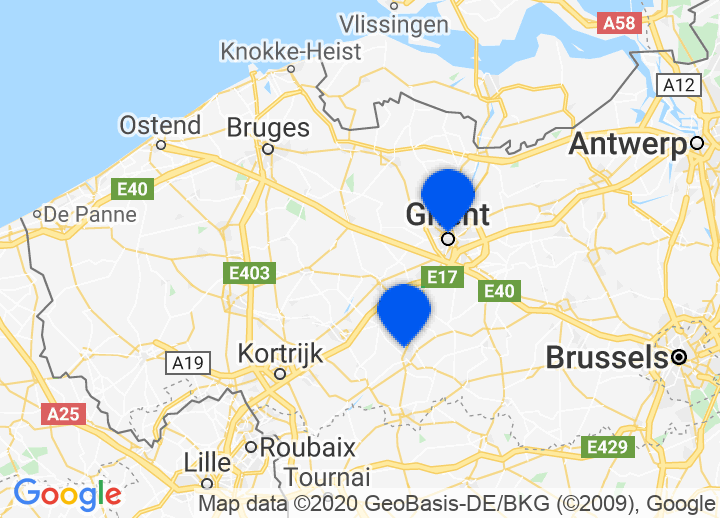 Choose from our selection of charming hotels in Flanders and beautiful places to stay in Flanders.The secretplaces team found a luxurious and romantic bed & breakfast in this region. It is perfect for a city trip or a romantic get away. As we already told before, the cities of Antwerp, Ghent, Bruges and Brussels are architectural treasure troves and therefore should not be missed. But they have a lot more to offer than just architecture. What do we think of, when we think about Belgium? The first thing to think about, would probably be the chocolate and that is why you should not miss the chocolate museums, participate in a chocolate workshop, chocolate tastings or go to one of the many chocolate events in the region. You will be spoilt for choice. Chocolate lovers will enjoy the Salon du Chocolat and the Antwerp chocolate week.Maybe not the first, but definitely a thought will be the beer. Therefore, we also recommend to do a local beer tasting. Flanders is also a paradise for bikers, especially in Limburg. We already talked about the beer, but here we have to go a bit deeper. The beer diversity in Belgium is probably one of the biggest in the world. The beer is mixed with different kinds of spices and herbs or fruits from cherries to bananas. And the special thing is that they have almost as many different glasses for theirs beers as they have sorts of it. The beer culture is intensively lived here and you will find many traditional 'Bierbeisel', which are beer cafés and where you will sometimes even be served whole beer menus. The beer brewing in Belgium is also part of the UNESCO cultural heritage. The belgic chocolate is world famous and you have many cafés, tastings and other events, where you can try and enjoy its diversity. Apart from that Flanders is known for its good waffles, french fries, flamic 'stoofvlees' - which is a kind of meat stew - and seafood. For sure there is enough choice to delight everyone.